Enjoy Disaronno Sour in a can. 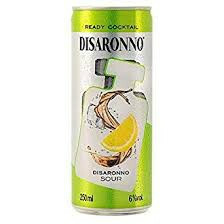 Amaretto Disaronno now mixed with Lemon in a ready to drink can. This sweet and sour cocktail is easy to enjoy for instant refreshment whenever you want. Alcohol Strength: 6% Pack Format: Can.